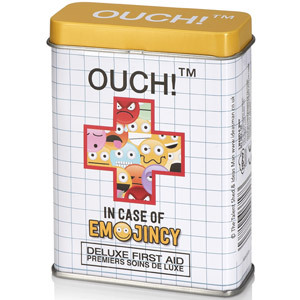 Who, Who, Whoooos got an ouchie? 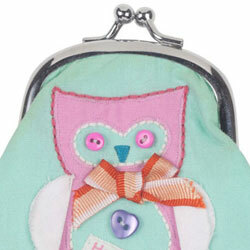 Take a word from a sage little bird and cover up those boo boos with Owl Bandages. 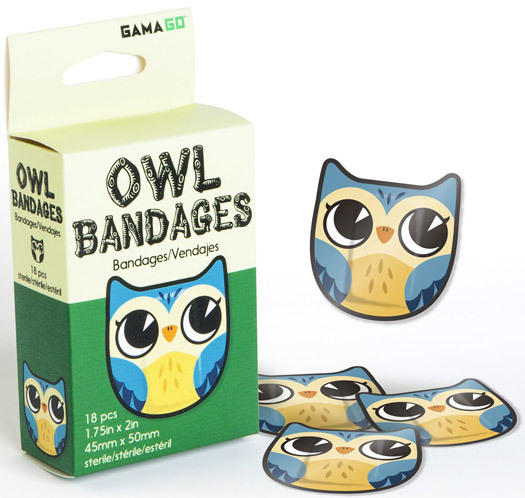 These adhesive bandages shaped like darling little owls are the wise way to cover up boo boos! 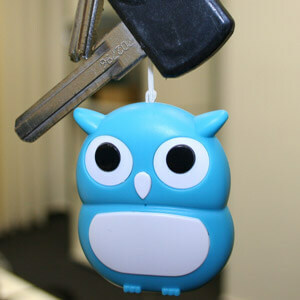 Minor scrapes and cuts are no match for your wise crackin nocturnal buddy. 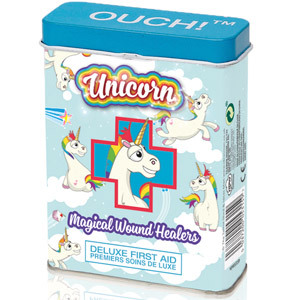 Protect those ouchies with a wide eyed owl bandage and youll be on your way to healing! Package includes 18 adhesive bandages.